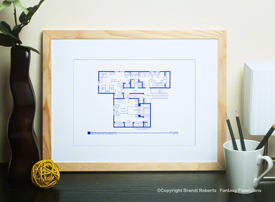 Buy a poster of my Brady Bunch house floor plan! 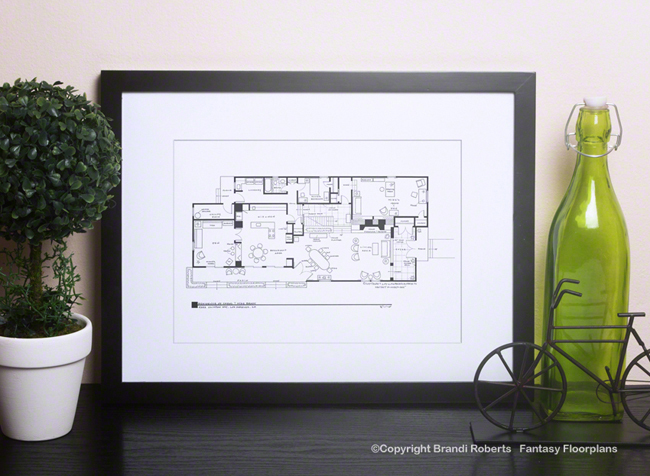 Have you ever wondered what the Brady Bunch house floor plan looked like? Is The Brady Bunch your favorite TV? 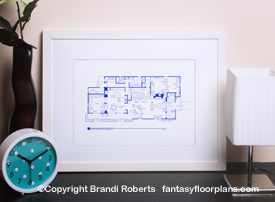 I've created the ultimate piece of art for you with my completely imaginary floor plan of their home! This is my first floor of Carol Brady and Mike Brady's fictional home. Carol and Mike Brady's four bedroom, three bath home is modest but contemporary for it's time. The famous floating stairwell, natural stone planters and fireplace are highlights of the first story floorplan. I'm not sure how six kids shared one bath but I imagine they must have used the first floor bath next to Alice's bedroom. 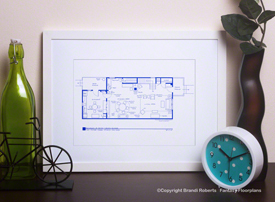 A classic TV sitcom home. 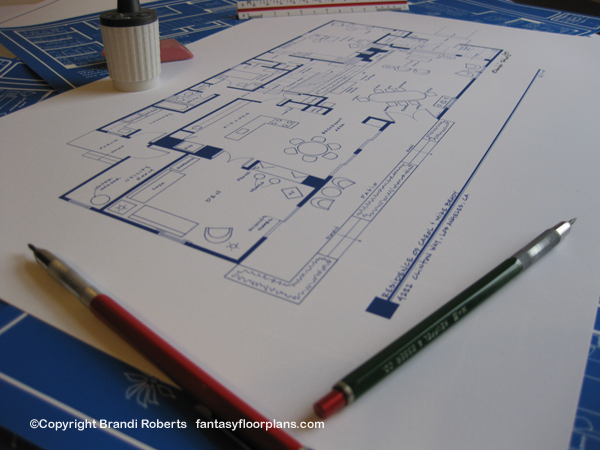 And make it a set by putting it together with my Brady Bunch house floor plan of the second story. You can find it here.